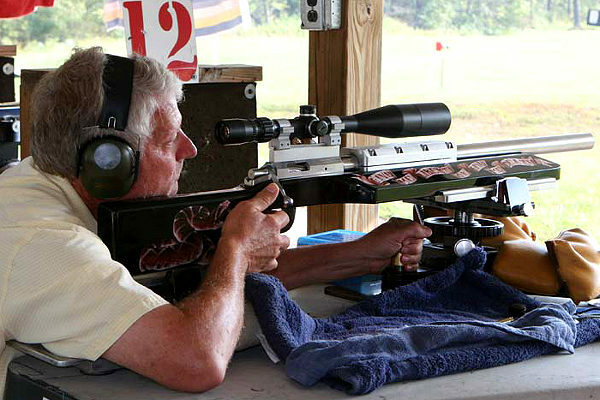 This story involves a match held last fall, but we know many of our readers compete in the Mid-Range (600-Yard) Benchrest discipline and follow developments in this sport. 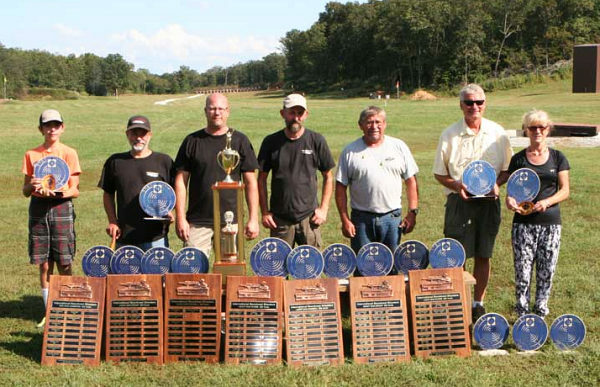 Accordingly we’re offering this report on the 2016 IBS Nationals held at the Big Piney Sportsman’s Club in Houston, Missouri. 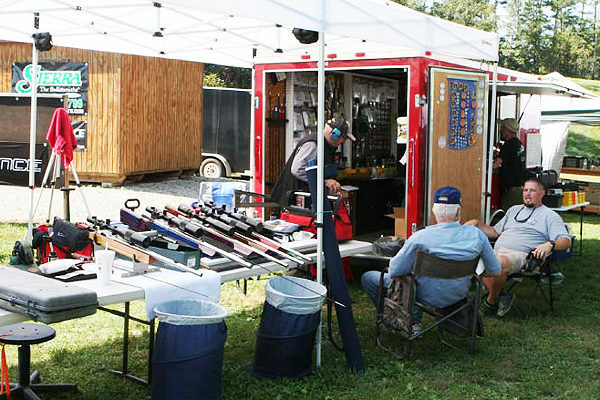 The 600-Yard Nationals at Big Piney last September was a great event that drew 82 shooters from 14 different states. 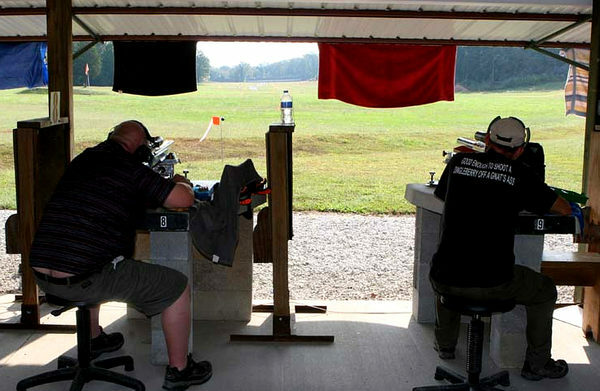 Competitors traveled from as far away as Florida, Idaho, and North Dakota to compete in the 2016 600-Yard International Benchrest Shooters National Championship. The weather was great and so was the food. A good time was had by all, and shooters praised the facility and the efficient way the match was run. The IBS offers a big “thank you” to everyone involved in running this excellent match. Their hard work and dedication deserves recognition. The opening morning for Light Gun class proved to be challenging, as the start time was pushed back one hour due to the fog settling in the firing line. By the second half of the eight targets to be shot, shooters began to settle in and take control of the conditions. 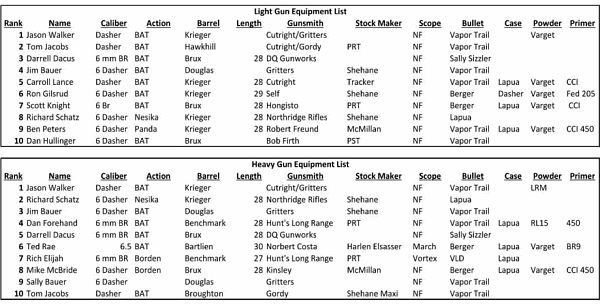 The Missouri shooters stayed on top with Ben Peters winning light gun score with a 385. Jason Walker took the group win with a 2.008” through 8 targets. With Tom Jacobs, Darrel Dacus, Jim Bauer, and Carrol Lance rounding out the top 5 in Light Gun overall it was going to be a hard fight to the finish. 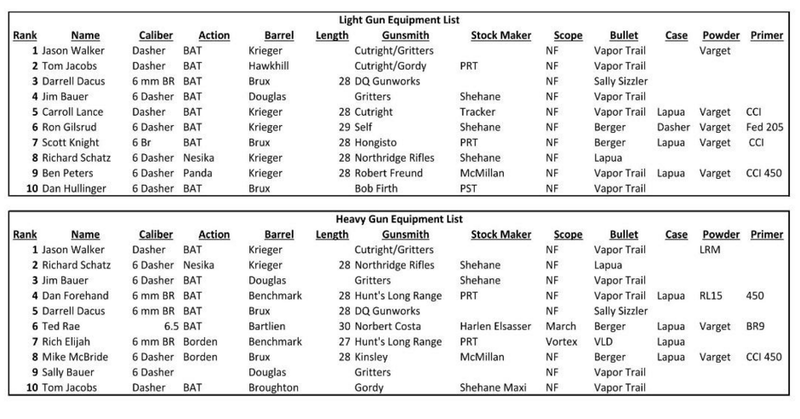 Look at the Caliber Column — Every Top 10 shooter in Light Gun Class shot either a 6mm BR Norma or a 6mm Dasher, an “Improved” version of the 6mm BR. In Heavy Gun it was 9 of 10 (with one unidentified 6.5mm). Hard to beat the 6mm BR and the Dasher for pure accuracy at 600 yards. 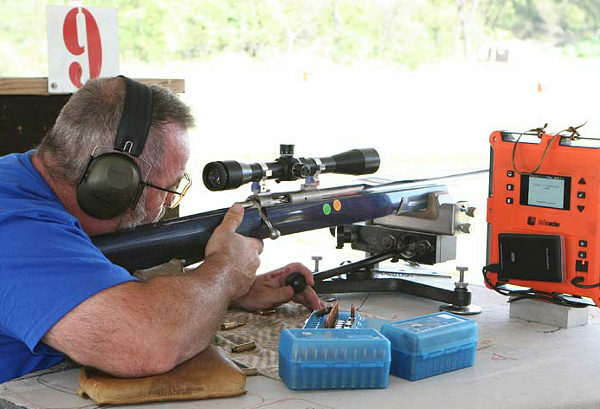 This competitor shot the match with a Labradar chronograph on his bench. On Sunday the Heavy Gun class started right on time with the clouds keeping Saturday’s fog in check. Relay 3 started the day off strong, putting it on top shelf for everyone to follow. The conditions seemed to stay pretty steady and helped create opportunities for competitors to shoot some amazing groups. Tom Jacobs came through with a 1.685 Heavy Gun group Aggregate. Rookie shooters Jim Kowske and TJ Stroop put on great Heavy Gun performances. Jim was second in Heavy gun group with 1.996” and TJ shot his way to second in score with a 384. Jason Walker hung on winning Heavy Gun score with a 389. This set up Jason as the Heavy Gun overall winner. The Big Piney Range is a pretty facility surrounded by trees. Jason dominated the weekend landing himself a 2-Gun Overall Championship. The top Rookie honors went to T.J. Stroop. Sally Bauer won the Overall top female. Rory Jacobs was able to seal the top Junior spot. The Big Piney crew would like to thank everyone for being great friends and great competitors! We could not have done it without everyone! 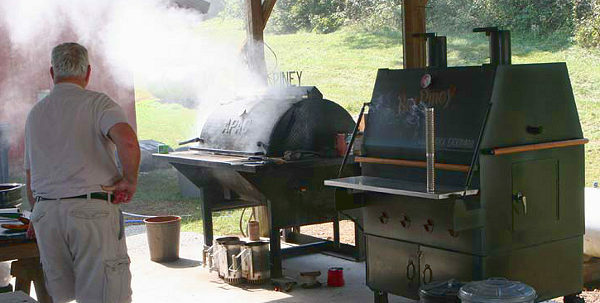 The match organizers provided tasty BBQ banquets for hungry shooters. Here competitors relax between relays at the Big Piney facility. 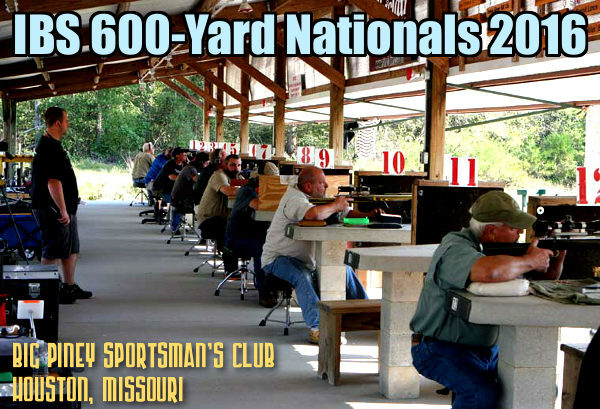 Share the post "2016 600 Yard IBS National Championship"
1. Easy Conversion: Use your current AR lower, bolt/carrier, buffer, and magazine. The only part you need to change is the barrel. 2. Hunting Capability: 300 BLK conforms to state hunting regulations which may require a cartridge larger than .22 caliber. The 300 BLK shoots .308 caliber bullets. 3. Suppressor-Friendly: You can shoot heavier bullets subsonic. The subsonic capabilities of the 300 BLK make it ideal for use with a suppressed AR. 4. Great Barrel Life: With a .30-caliber bore and a modest powder charge, barrel life is outstanding. 5. Great Brass: No Case forming is required — just buy Lapua 300 BLK brass. The 300 AAC Blackout was created by Advanced Armament Corp. and Remington primarily for the military as a way to shoot .30-caliber bullets from the M4/AR15 platform while using standard magazines. As explained by Robert Silvers, AAC’s R&D Director: “[You can] shoot 30 caliber from your AR while still using normal magazines with full capacity. Even the bolt stays the same, and all that changes is the barrel.” CLICK HERE for more information. 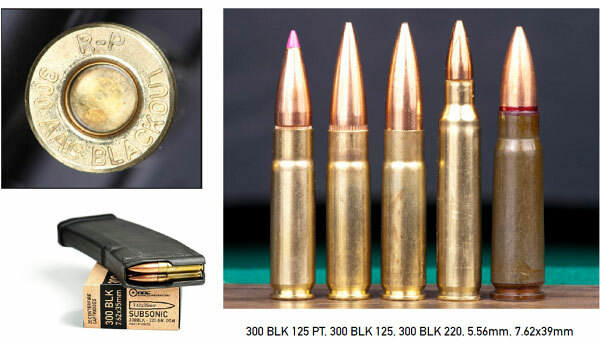 The concept of putting a .30-caliber bullet in a shortened 223 case has been done before, but not as an industry-wide standard that anyone can make products for, royalty-free. 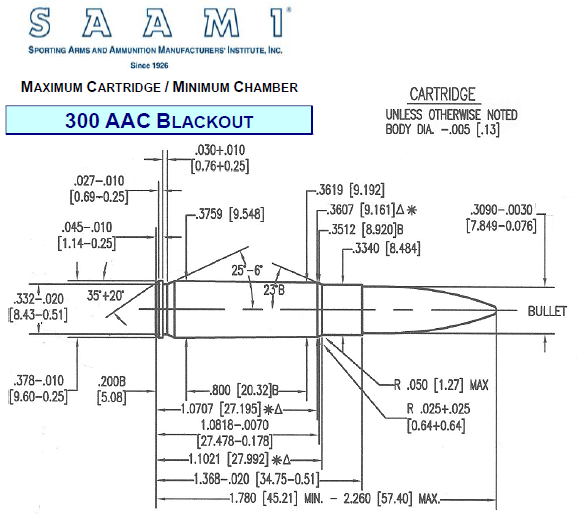 SAAMI, the industry standards organization, adopted and standardized the AAC 300 Blackout earlier this year. The SAAMI diagram for the 300 BLK is shown below. Remington now sells a variety of 300 BLK ammo: 1) 125 grain open-tip match with a custom Sierra bullet; 2) 220gr subsonic, and 3) 125gr AccuTip (photo below). While the 300 BLK is easy (and inexpensive) to reload, Remington and AAC recognized that most people are not reloaders. So Remington will be budget-priced UMC-brand 300 BLK ammo through at just $12.99 per box — that’s less than most other rifle cartridges than are more powerful than the .223. The 300 AAC Blackout definitely works for hunters who want to use their AR15-platform rifle. And it also serves as a specialized 30-Cal “rule-beater” that lets 3-Gun competitors “make major” with a low-recoil cartridge that also offers long barrel life. For those who need to run a .30-caliber cartridge from a standard AR15 platform (as opposed to the AR10), the 300 AAC Blackout makes sense. But for hunters using a bolt gun, there are any number of tried and true options, such as the 7.62×39, .30-30, and, of course, the .308 Winchester (7.62×51 NATO). WARNING: With some bullet options (and setback during chambering) 300 Blackout rounds will go into a .223 chamber and fire. Putting a .308-caliber bullet in a .224-diameter barrel is a recipe for disaster. You can blow up your gun and sustain serious injury. That’s why we recommend you have a dedicated 300 BLK upper and mark your magazines. Also, always, always check your .223 magazines to ensure no 300 BLK rounds worked their way in when you loaded the mags. There have been a number of Kabooms recorded from 300 BLK rounds fired in a .223 Rem/5.56×45 chamber. CLICK HERE to see actual 300 BLK in .223 Rem chamber. 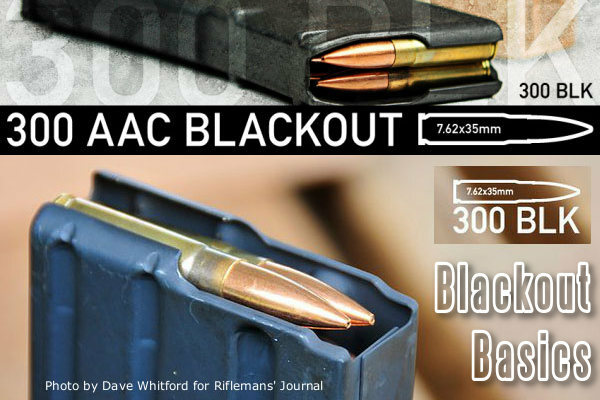 300 BLK by AAC: An Introduction by Paul Erhardt. AAC .300 BLK AR-15, The Gun Blog. Share the post "300 Blackout Basics — Specs and Cartridge INFO"
Here’s a cool product that can help you level your front rest and rear bag, level your scope, align your target frame, and perform a myriad of tasks around the house. 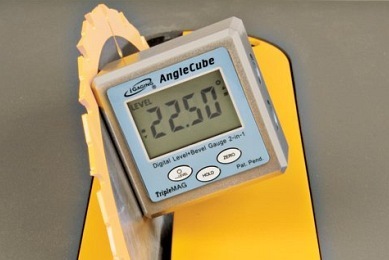 The Digital AngleCube (aka Electronic Level and Protractor Gauge) is basically a high-tech level that gives you exact angular read-outs to within 0.2 degrees. That’s a lot more precise than any bubble level. For you position shooters who like to run angled sights, this tool will help you set the rear sight and front tower to exactly the same angle. For High Power guys with 3-way and 4-way adjustable buttstocks, this digital angle gauge can help you quickly and precisely set buttstock angle and cast-off. Even tactical shooters and long-range hunters can use this device to confirm exact shot angle, with greater precision than a plastic protractor or even an expensive Angle Degree Indicator (ADI). Heck you can even use the thing as an anti-cant device (if you don’t mind the extra weight). We’re sure that our clever readers can find even more uses for a digital angle read-out tool. The AngleCube Digital Level sells on Amazon.com for $29.95. It comes with magnets on the sides so you can attach the tool to any ferrous metal surface for a “hands-free” reading. You can find similar devices in hardware and home improvement stores. One of these square, magnet-equipped electronic protractor/levels is made by INSIZE. 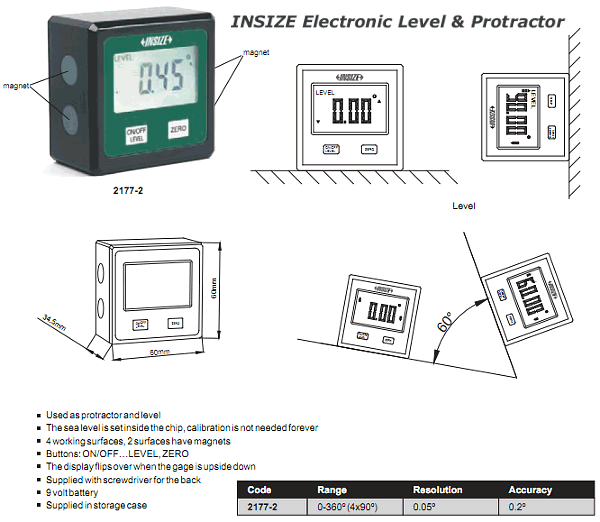 The illustration below shows how the INSIZE gauge can be used in the field. Share the post "Digital Level Is Handy Tool for Your Range Kit"